With a population of more than 1.3 billion, India is the largest democracy in the world home to both rich and poor. This rising global power faces a unique challenge as it grapples with social systems of feudalism, ethnicity and caste which create deep divisions and social inequalities. Our programmes work address these inequalities and builds a future for everyone. In cities across India, thousands live in slums or on the streets, and in rural areas, a lack of critical infrastructure and education holds communities back from improving their situation. More than two thirds of adults cannot read and write, whilst almost 1 in 2 children in India do not attend secondary school. In a country where around a fifth of the population rely on agriculture to earn a living, the risk of flooding and climate-related disasters is an ever-present threat. Almost half of children are underweight and with a lack of nutrients, children’s ability to concentrate in class or even attend school is severely affected. Violence against women and girls is also an area of primary concern with social attitudes and a lack of female socio-economic empowerment trapping women and girls in abusive relationships and a lifetime of poverty. 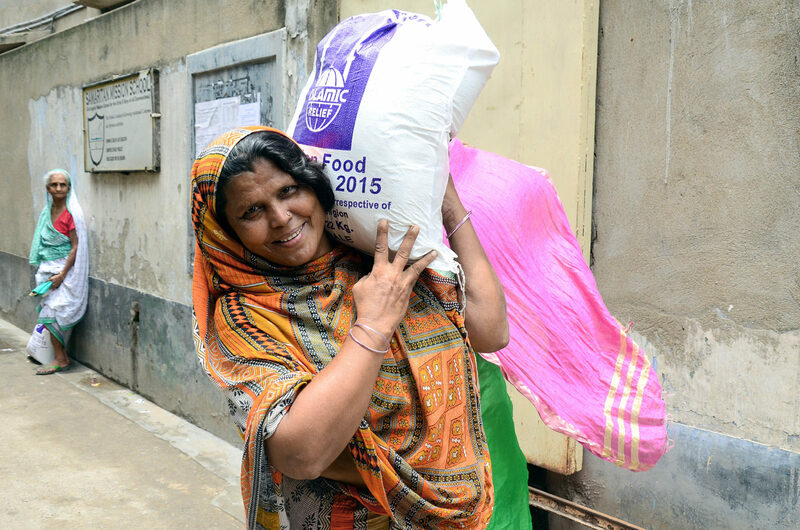 Islamic Relief has been working with local organisations in India since 1994, and provided emergency relief following several emergencies: 1999’s Orissa cyclone, the Gujarat earthquake in 2001 and 22004’s devastating tsunami and flooding in both 2014 and 2017 including the Assam and Bihar floods. As well as providing emergency relief, including running camps, community kitchens, rescue teams and food and other essential non-food support in winter, we also provide long-term solutions to poverty. We support vocational training programmes for women and children so they can gain the skills to earn a living and implement an education programme in Uttar Pradesh, to give individuals the best chance at a brighter future. Our social safety net project is also working with highly vulnerable street children and women, providing livelihood, shelter and health support to enable vulnerable locals to lead a safer happier life. In addition, we also support more than 1,000 children through orphan sponsorship, including school equipment and medical care for children and their families, and run Ramadan and Qurbani food distributions each year.